Experience 7 days of Western Australia’s amazing wildflowers and spectacular scenery in the Esperance and stunning Southern Coastal region. 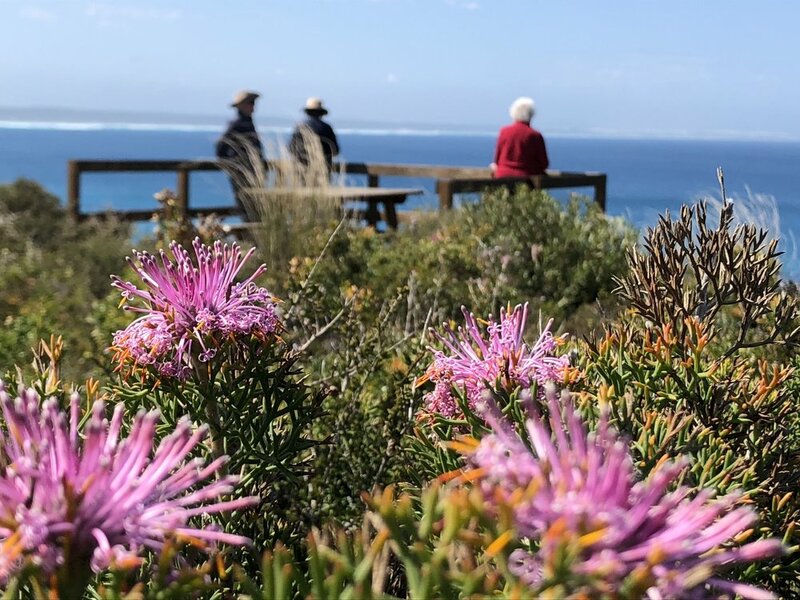 The 2019 Perth to Esperance – Albany Wildflower Tour allows you to be in the major hotspots of Western Australia’s famous wildflowers. Download a brochure for Tour Pricing! 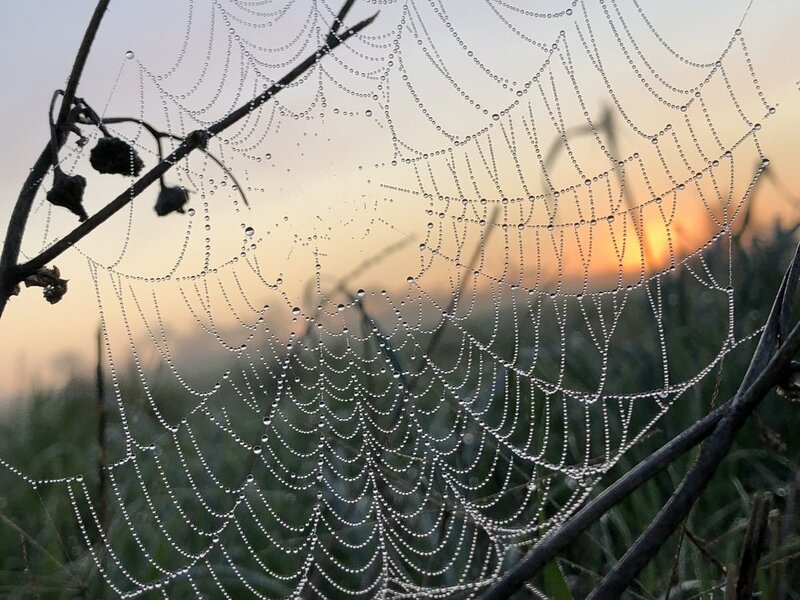 8 September 2019 includes Ravensthorpe Wildflower Show. Today we visit wildflower hot spots in the Narrogin area look at local flora at Foxes Lair. This Morning visit a local farm at Hyden that has regrowth flora with masses of biodiversity of flora and brilliant swathes of bright colour. It is an extraordinary sight..
Lake King a small rural town lies on the fringe of sheep- and grain-farming country. Lake King is a stopping place for visitors travelling across the arid country around Frank Hahn National Park to Norseman. Outstanding wildflowers in late spring include rare and endangered species. East of Lake King is the Rabbit Proof Fence boasting magnificent displays of wildflowers in season. We take an outback road to Esperance via Cascades going through Frank Hahn National Park. Frank Hahn National Park has been declared to protect sand plain habitat and heath flora Mallee and wattles, melaleucas. Traveling on through characteristic Mallee-heathland wilderness. 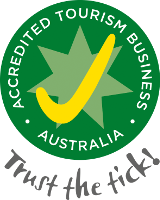 Cascades Mallee - Heathland offer areas of masses of flowers and then into the Cascades – Esperance farming region. Both the National Park and Mallee-heathland have a spectacular range of wildflowers afforded by its isolation. Esperance is Australia's best-kept secret. The Esperance region is distinguished by spectacular coastal scenery and a diversity of wildlife including seals, dolphins, whales, emus and sea eagles plus pristine beaches and 110 islands that make up the Recherche Archipelago. With stunning national parks this is one of a few places in Western Australia where you may see kangaroos sunbathing on the beach. This morning we drive east of Esperance to spend to day exploring Duke of Orleans Bay and Wharton Bay the locals favourite beach a must visit and check the wildflowers. We have lunch at Condingup Tavern and visit Condingup Lookout for seasonal wildflowers and spectacular vistas of the region. This morning visit Stokes Inlet National Park and travel to Ravensthorpe via back roads and will be stopping to view regional red Lechenaultia Formosa, red four winged eucalyptus, and other amazing flowers. Ravensthorpe & Hopetoun enjoy a temperate Mediterranean climate. Ravensthorpe is surrounded by ancient mountain ranges which has 1400 species of flora. Rocky hills, rugged river valleys, vast sand plains, estuaries and large inlets provide the area with a wealth of natural beauty, flora and birds. Ravensthorpe celebrates its regional wildflowers with its highly acclaimed Ravensthorpe Wildflower Show you will be amazed to see such a large collection of flora. There are currently about 3000 specimens in the herbarium. The wildflowers in the Ravensthorpe region are astounding we will be spending the afternoon looking at the amazing diversification of flora. Today we spend all day in the Fitzgerald River National Park to really explore this unique flora hot spot. Which has 20% of Western Australia’s flora. 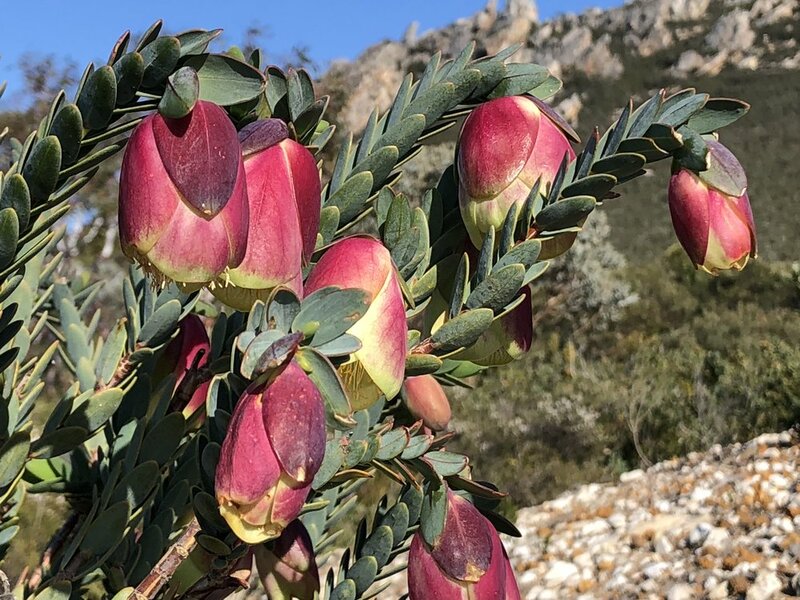 The Fitzgerald River National Park is now recognised as one of the most diverse botanical regions on earth with over 1,800 species of flowering plants alone. 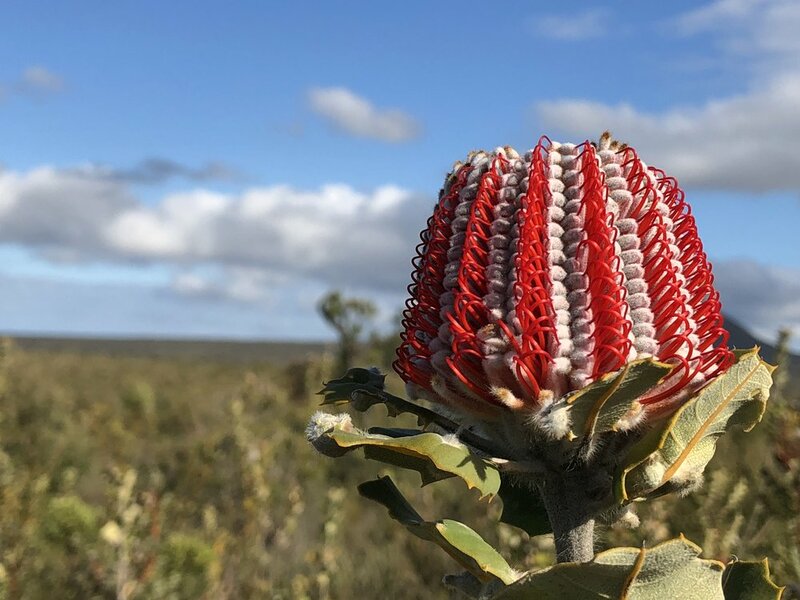 In spring, the landscape is dotted with colourful wildflowers including banksias, hakeas, bottlebrush, feather flowers, Quaalup bell, orchids and many others. Bremer Bay’s isolation is one of its finest features along with scenic beauty, magnificent turquoise waters of bays and beaches and diversity of flora and fauna. This morning before we leave the region we will be visiting Tozer’s Bush Camp which has natural bushland of high diversity of wildflowers and orchids. You will find it very difficult to be drawn away from this very unique bushland. Visit Albany town sights visit Mt Clarence overlooking Princess Royal Harbour and King George Sound, Middleton Beach and overnight Albany. 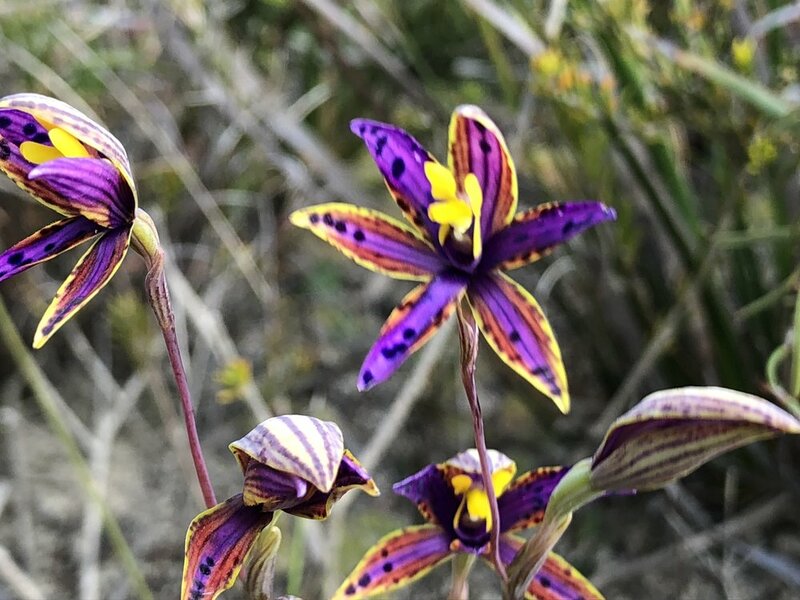 The final day of our Western Australian Wildflower Tours sees us visit Stirling Range Retreat to join a local Orchid and Wildflower Tour to see varieties of orchids and endemic wildflowers in isolated places with a local guide who is passionate about the region, habitat and of course the flora. 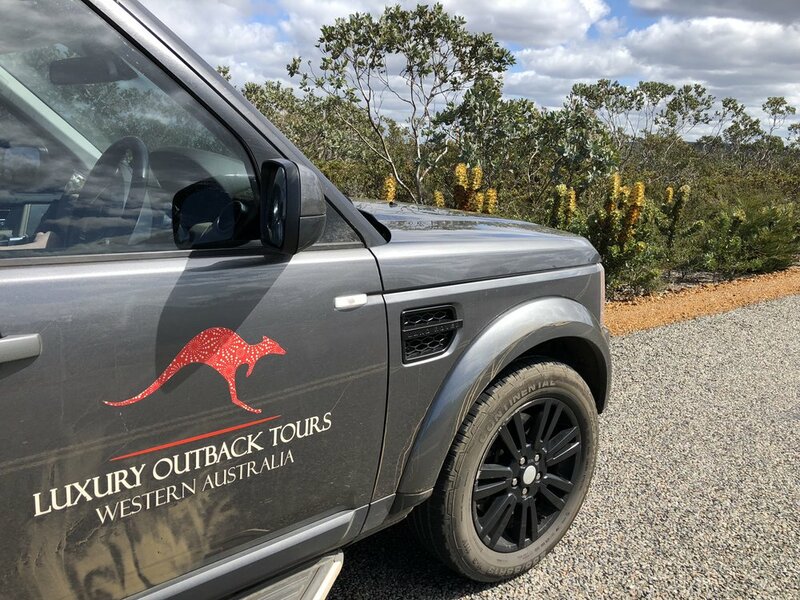 We tour through premier agriculture regions Gnowangerup, Wagin, and Williams and see Jarrah, Marri, Wandoo woodland before descending the Darling Escarpment in to Perth late afternoon.